Coming from Bruneck in Pustertal and driving in directions of Tauferer Ahrntal Valley, you will see a magnificent medieval castle enthroned on a rocky elevation. 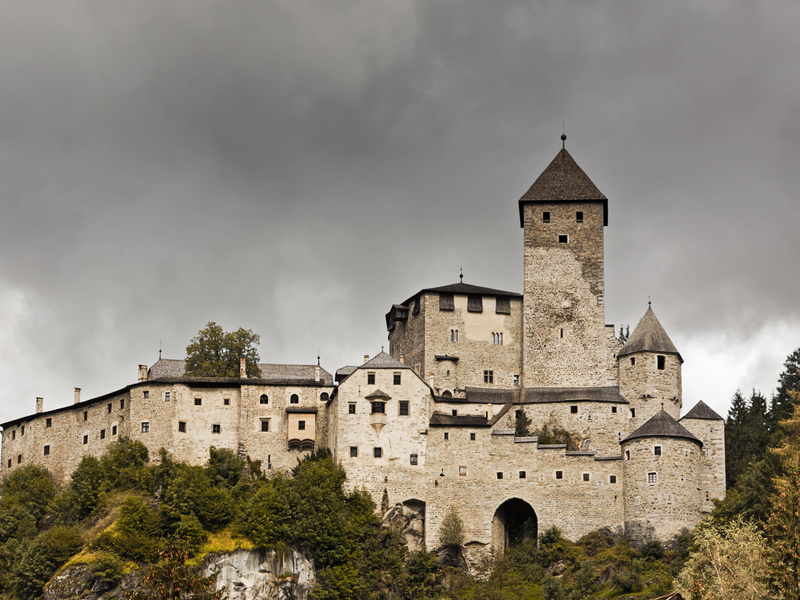 Taufers Castle is situated above the village Sand in Taufers with the snow-covered mountains of Zillertal Alps in the background. 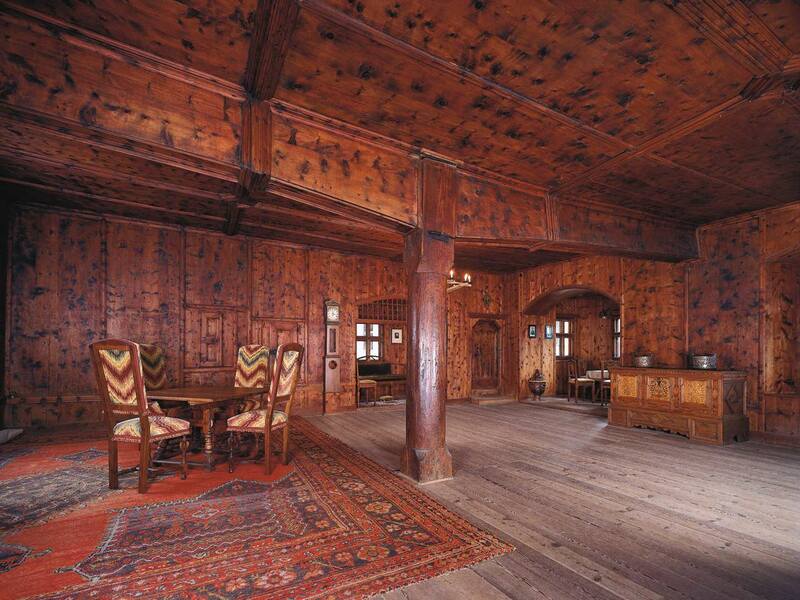 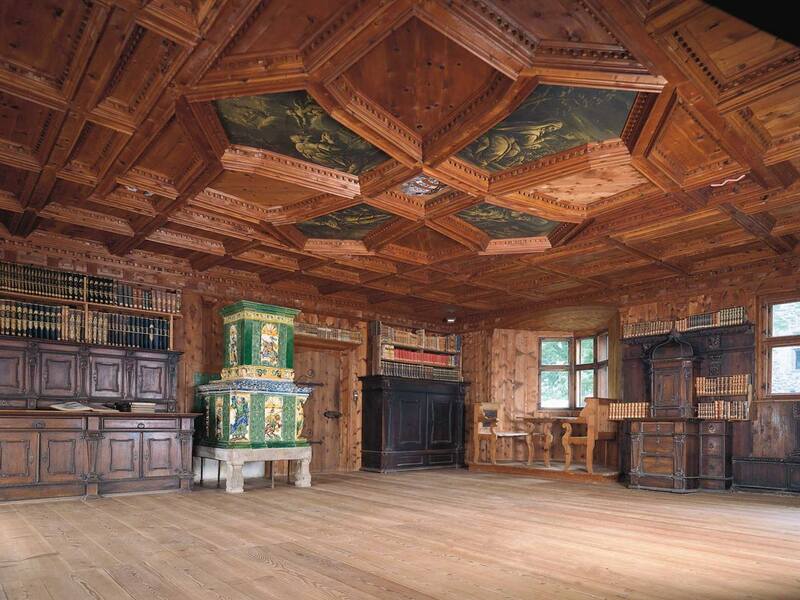 There is no doubt that Taufers Castle is one of the most beautiful castles in Tyrol. However the castle complex, which was mentioned in documents already in the 13th century is not only worth seeing from afar. 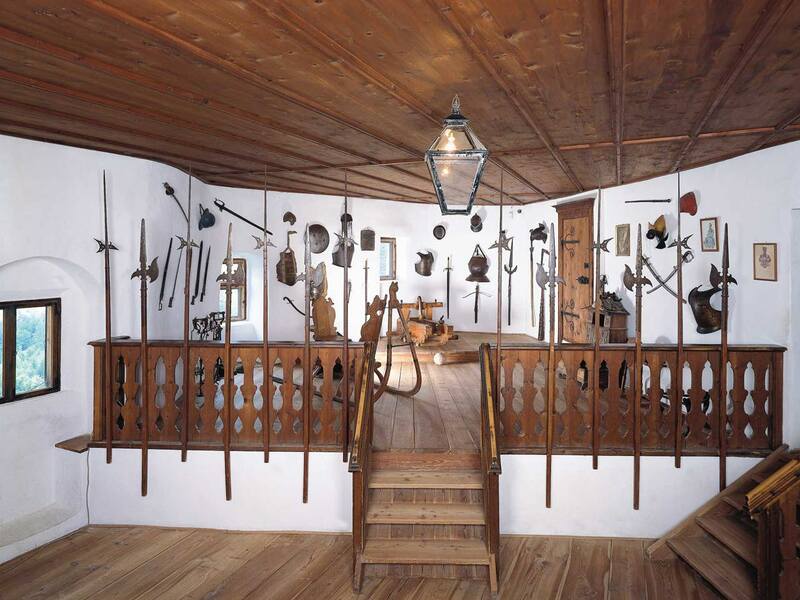 The imposing fortress with armoury and torture chamber and several rooms with original furniture and wonderful frescoes is a highlight for all culture lovers. The castle itself shows Roman and Gothic characteristics. 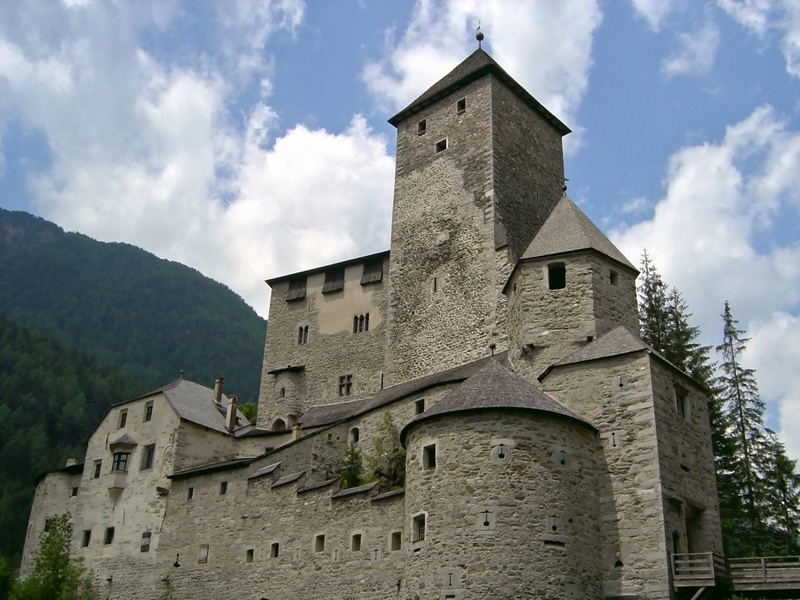 In fact, the keep, the residential tower and the Roman chapel date back to the 13th century, whereas new gateway buildings, housing units, wall-walks, drawbridges, granaries, a well house as well as a cistern were attached after 1500. 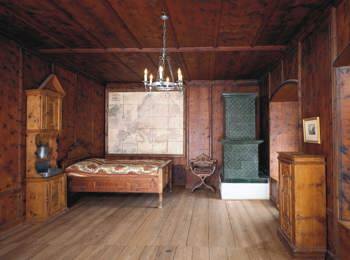 An interesting detail is, that most of the premises can be heated by tiled stoves and that 24 of the 64 rooms are panelled in wood. 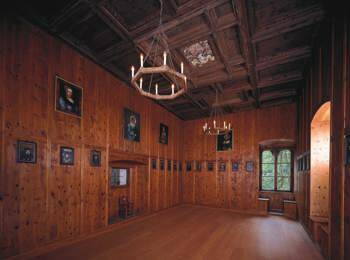 In the interiors, visitors can see for instance Roman and Gothic frescoes, cupboards in the Gothic and Renaissance style, an armoury and the library as well as a courtroom, a dining room, the torture chamber, the prison, the castle chapel and much more. 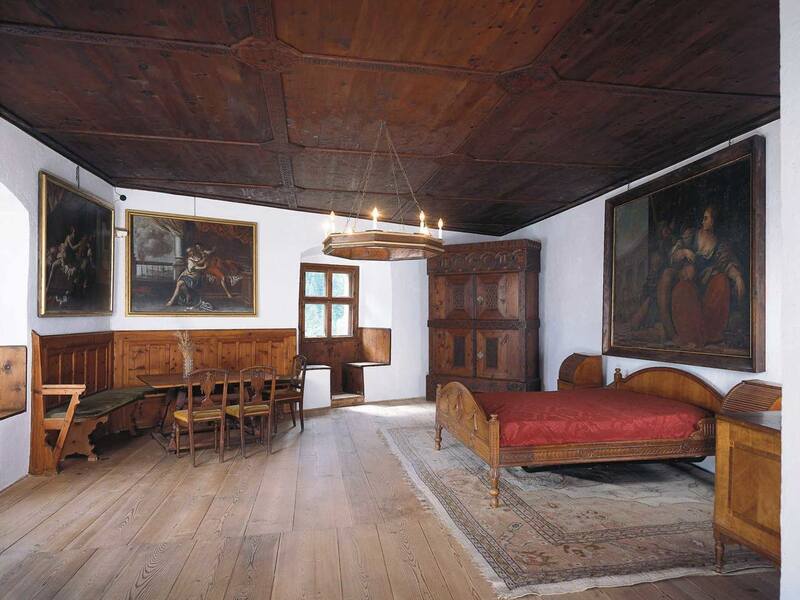 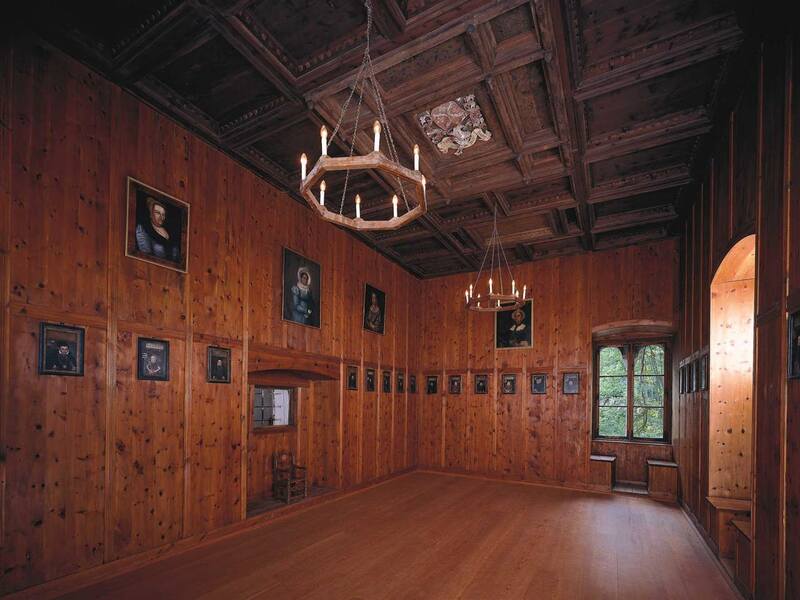 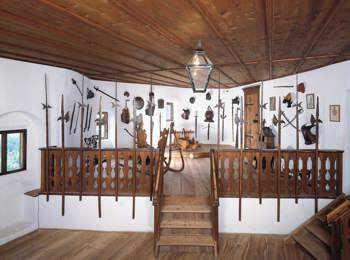 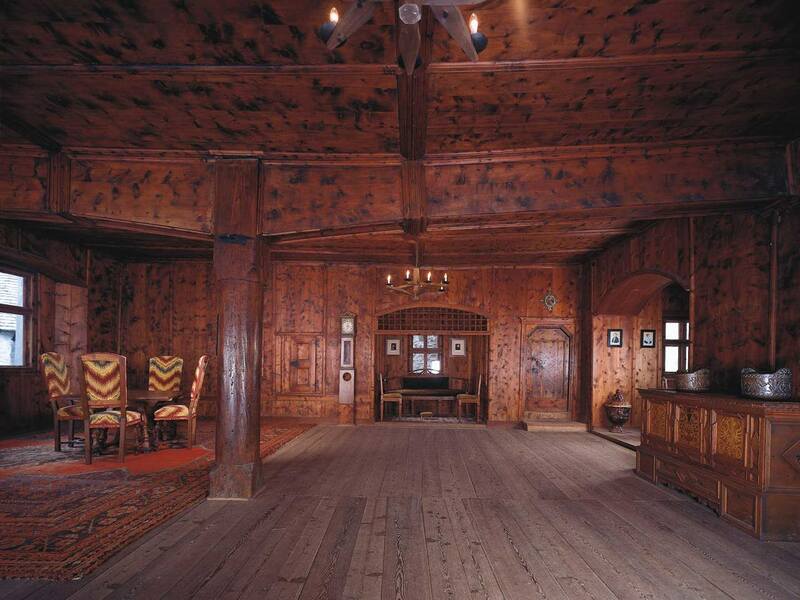 Taufers Castle is located at village exit of Sand in Taufers in Ahrntal, about 13 km in the North of Bruneck. 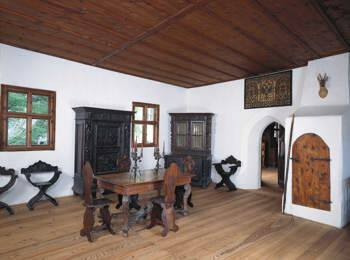 Visitors can reach the castle by car on a forest road (limited parking possibilities) or on foot from the village within 10 minutes on a marked trail. 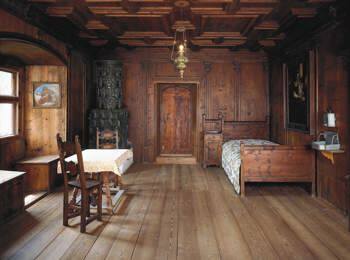 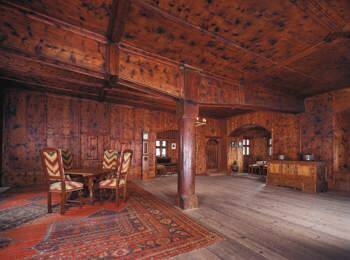 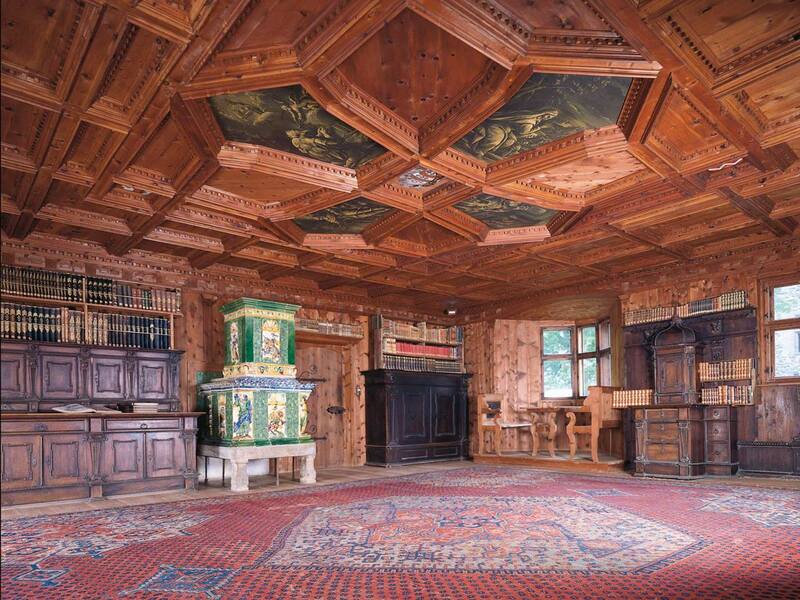 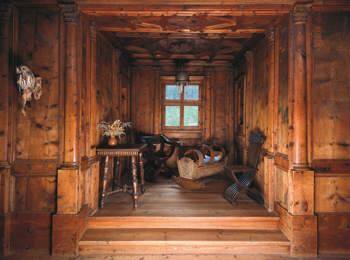 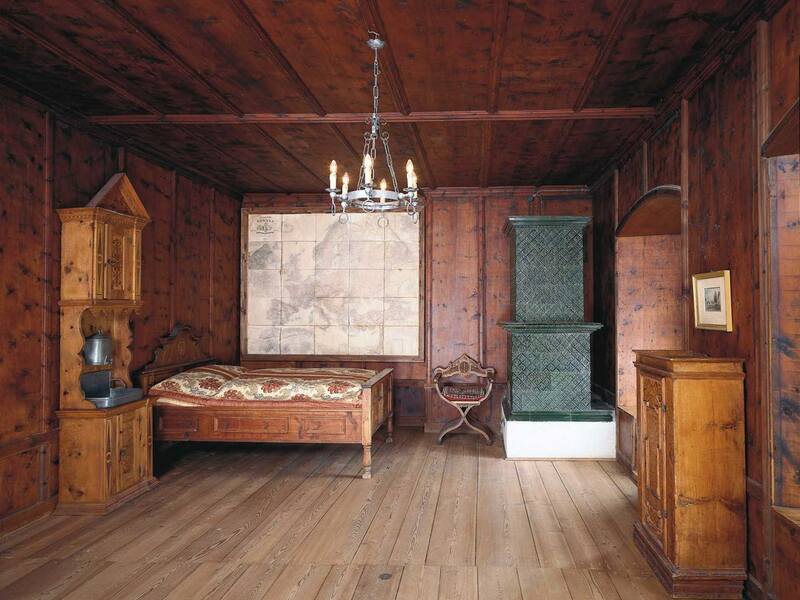 During the summer season, Taufers Castle is open all days; the opening hours as well as the guided tours my vary.